Join us on March 25 for the final fundraiser of the campaign! ​Tickets available for purchase in-advance or at the door. 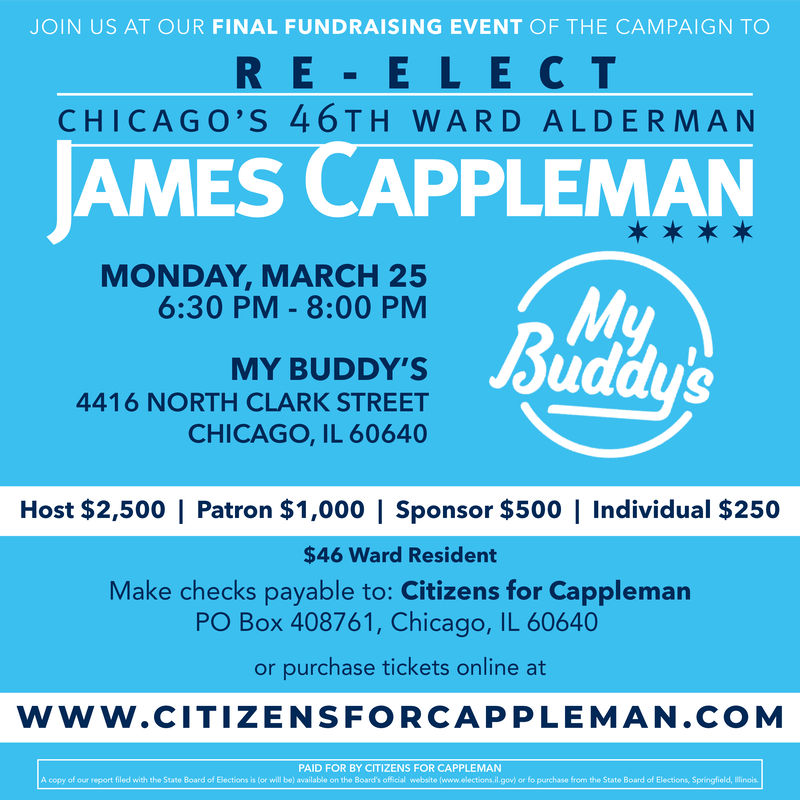 Would you like to host Alderman Cappleman to meet with you and your neighbors? If so, please let us know!